A composer of truly international stature, Mark-Anthony Turnage is among the most relevant communicators and creators of today. His orchestral and operatic music is often forthright and confrontational, unafraid to mirror the realities of modern life, yet its energy is exhilarating. With his flair for vivid titles, and his complete absorption of jazz elements into a contemporary classical style, Turnage produces work with a strong appeal to an enquiring, often young audience. At the same time his music is capable of expressing deep tenderness, especially emotions associated with loss. Born in Britain in 1960, Turnage studied with Oliver Knussen and John Lambert, and later with Gunther Schuller. With the encouragement of Hans Werner Henze, he wrote his first opera for the Munich Biennale Festival, Greek, which received a triumphant premiere in 1988. The many ensuing productions worldwide established Turnage’s international reputation. The important works that followed, Three Screaming Popes, Kai, Momentum and Drowned Out, stemmed from a four-year period as Composer in Association with the City of Birmingham Symphony Orchestra and Sir Simon Rattle, from 1989 to 1993. Three years later Blood on the Floor was commissioned by Ensemble Modern. Written for John Scofield, Peter Erskine and Martin Robertson, it demonstrates Turnage’s ability to draw inspiration from the unique sounds of particular performers, often working in close collaboration. Turnage’s major work in the late Nineties was his second full-length opera, The Silver Tassie, premiered in February 2000 to exceptional acclaim at English National Opera, where he was Composer in Association. It won both the South Bank Show and Olivier Awards for Opera in 2001. The new century also brought Turnage’s appointment in 2000 as the BBC Symphony Orchestra’s first Associate Composer culminating in a major Turnage weekend at the Barbican in January 2003. In the autumn of 2002, Sir Simon Rattle conducted Blood on the Floor at one of his first concerts as Chief Conductor of the Berlin Philharmonic, attracting a largely new, younger audience to the Berlin Philharmonie and generating the Berlin Philharmonic’s first major education project. Rattle and the BPO commissioned Ceres, an “orchestral asteroid” to accompany Holst’s suite The Planets, which received its premiere performance in 2006. Other significant works following the turn of the new century included Bass Inventions, premiered by the bass player Dave Holland in Amsterdam in 2001, and Scorched, co-written with John Scofield for jazz trio and orchestra, premiered in 2002 with the Frankfurt Radio Symphony Orchestra and Big Band, conducted by Hugh Wolff. The trumpet concerto From the Wreckage was written for soloist Håkan Hardenberger, who brought it to the 2005 BBC Proms after its Helsinki premiere. Of the London performance, The Times’s critic wrote: “this was outstanding: a kind of rebirth piece in which the music begins hellishly but gradually picks up a bluesy swing as the soloist rhapsodically spirals higher and higher. I was mesmerized.” Hardenberger has since performed the concerto over 20 times in 10 countries. 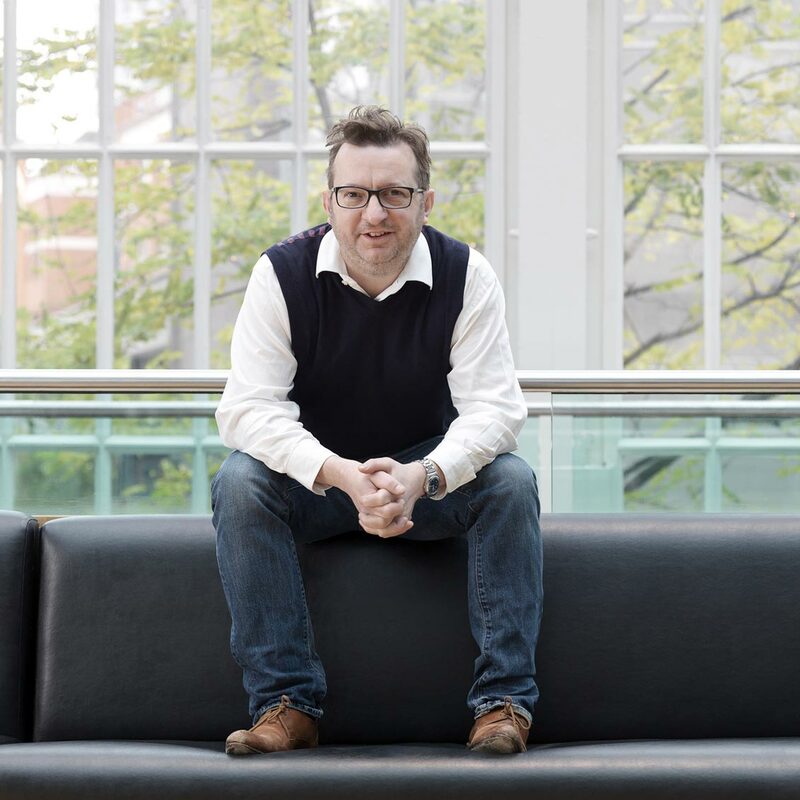 Working with the London Philharmonic Orchestra during the 2004/05 season led to Mark-Anthony Turnage’s appointment as its Composer in Residence between 2005 and 2010. The residency was celebrated with Turnage’s first violin concerto, Mambo, Blues and Tarantella, written for Christian Tetzlaff and the LPO with Vladimir Jurowski and premiered at the Southbank Centre in 2008, with subsequent performances in Stockholm and Toronto from the co-commissioning partners. A final new work to celebrate the residency, Texan Tenebrae, was premiered in London in 2010 and three Turnage discs were released on the LPO’s own label. Turnage was also appointed Mead Composer in Residence with the Chicago Symphony Orchestra from 2006 until 2010 for whom he wrote two new works, From All Sides and Chicago Remains, conducted by Esa-Pekka Salonen and Bernard Haitink respectively. Turnage has previously written for other major American orchestras: Scherzoid was a New York Philharmonic/London Philharmonic commission, while his viola concerto On Opened Ground was commissioned by the Cleveland Orchestra for Yuri Bashmet. 2009 brought the premieres of A Constant Obsession commissioned by the Wigmore Hall for the Nash Ensemble and Mark Padmore and Five Views of a Mouth for the BBC Scottish Symphony Orchestra and flautist Dietmar Wiesner, while Hammered Out at the 2010 BBC Proms and Twisted Blues with Twisted Ballad written for the Belcea Quartet were works completed before Turnage took time out to write a third opera. Anna Nicole, with text by Richard Thomas, was premiered at The Royal Opera in London in Spring 2011 in a production by Richard Jones with six sold-out houses and broadcasts on television and radio. Further stagings have followed in Dortmund and at the BAM Next Wave festival in New York, and The Royal Opera opened its 2014/15 season with a second run of Anna Nicole. Turnage wrote two ballet scores in 2011/12: UNDANCE for Sadler’s Wells, a collaboration with Wayne McGregor and Mark Wallinger, and Trespass for the Royal Ballet Covent Garden as part of its Metamorphosis: Titian 2012 project, choreographed by Alastair Marriott and Christopher Wheeldon. Recent concertos include works for cellist Paul Watkins, pianist Marc-André Hamelin and jazz drummer Peter Erskine while in Spring 2013 Turnage was featured composer with the London Symphony Orchestra, culminating in the premiere and recording of a new work Speranza, also performed under the baton of Daniel Harding in Boston and Stockholm. Other recent orchestral works include Frieze conducted by Vasily Petrenko at the BBC Proms and Passchendaele commemorating the centenary of the outbreak of the First World War. Strapless was premiered at the Royal Ballet Covent Garden in 2016 with choreography by Christopher Wheeldon and is a co-production with the Bolshoi Ballet. Much of Turnage’s music is recorded on Decca, Chandos, EMI, Black Box and the London Philharmonic Orchestra label. Scorched, on Deutsche Grammophon, was nominated for a Grammy, while Etudes and Elegies was recorded for the Warner label. Turnage is Research Fellow in Composition at the Royal College of Music, and is published by Boosey & Hawkes. Works written before 2003 are published by Schott. He was awarded a CBE in the 2015 Queen’s Birthday honours.